Not All Antioxidants Halt Macular Degeneration : Shots - Health News Supplements with the antioxidant lutein and omega-3 fatty acids didn't stop age-related macular degeneration, the leading cause of blindness in the United States, a new study suggests. But other antioxidants, including vitamins C and E, do seem to help. 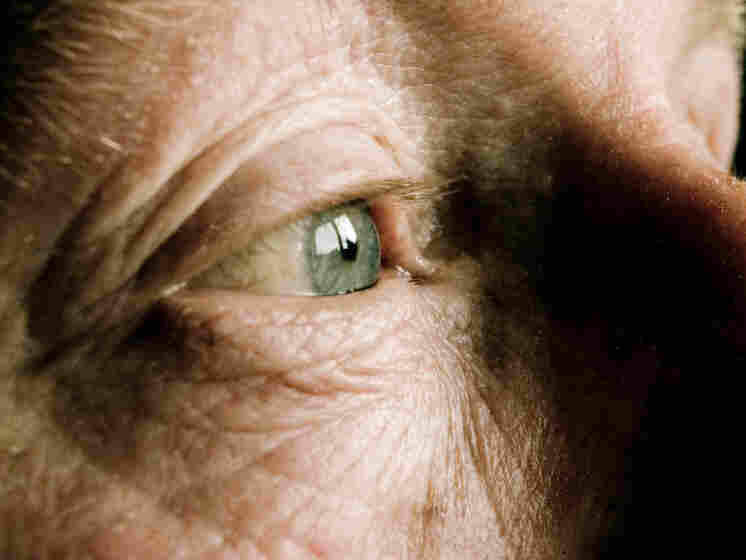 Age-related macular degeneration accounts for more than half of all cases of blindness in the United States. Age-related macular degeneration is the major cause of blindness in older people, and the culprit in more than half of all cases of blindness in the United States. There's no cure for the condition, so scientists have been hard at work trying to come up with ways to hold it at bay. Unfortunately, in most cases, taking the antioxidants lutein and zeaxanthin — commonly sold as over-the-counter supplements for "eye health" — didn't slow the damage to the retina that causes vision loss, according to a new study. Neither did taking supplements of omega-3 fatty acids. There were reasons to think these supplements might help. For example, some earlier studies suggested that "eating dark leafy greens, and yellow, orange and other colorful fruits and vegetables, rich in lutein and zeaxanthin, may reduce your risk for developing macular degeneration," according to the American Academy of Ophthalmology. And a 2011 study found that women who ate more fish, a rich source of omega-3s, were less likely to suffer age-related macular degeneration. This new study, part of the AREDS clinical trial at the National Institutes of Health, was designed to nail down what combination of supplements would help the most. Back in 2001, the AREDS trial made big news when it found that taking the antioxidant vitamins C and E, along with beta carotene and zinc, slowed the disease's progression in people who have early signs of it, reducing the risk of vision loss in advanced AMD by about 25 percent over five years. As a result, ophthalmologists now recommend that some people found to be at high risk take vitamins C, E and zinc (see the dosages here) to slow progression. AMD destroys a part of the retina that makes it possible to see fine detail. This more recent effort had 4,203 people at risk of AMD take the original AREDS formula, along with various combinations of lutein, zeaxanthin, and omega-3s, or a placebo. The people ranged in age from 50 to 85. The researchers also gave people variations on the AREDS formula, giving some people less zinc, no beta carotene or both. So interpreting the results is a bit complicated. But by the end of five years, it became clear that most of the people who took lutein and zeaxanthin, or lutein and zeaxanthan plus omega-3s, had no more protection against vision loss than did the people who took the original AREDS formula alone. However, people who weren't eating much did seem to get some protection from lutein and zeaxanthin supplements, perhaps because they weren't getting those nutrients in their diet. And taking prescribed those supplements might still be a good alternative for former and current smokers, the researchers found. That's because beta carotene, although known to help slow AMD progression, is also associated with an increased risk of lung cancer in people who have ever smoked. "There's clearly an effect of lutein and zeaxanthin," says Emily Chew, deputy director of epidemiology and clinical applications at the National Eye Institute, and a co-author of the study. "Beta carotene has always been troublesome,"
The new study, published online in the May 7 Journal of the American Medical Association, found that current and former smokers who took lutein and zeaxanthin instead of beta carotene had a lower risk of AMD, without boosting their lung cancer risk. As a result, Chew thinks that the AREDS formulation should be changed to include lutein, rather than beta carotene. "Then it would be good for everybody." But she says that people should talk to their doctors to figure out what supplements will work best for them.